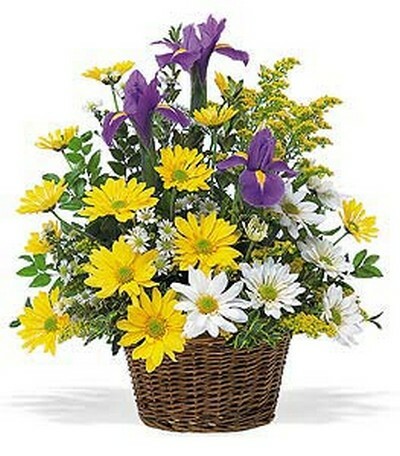 In some cases substitutions may be necessary due to availability and/or seasonal conditions. If you are not satisfied with the delivered product, please inform us within 3 days and our replacement guarantee will be applied. 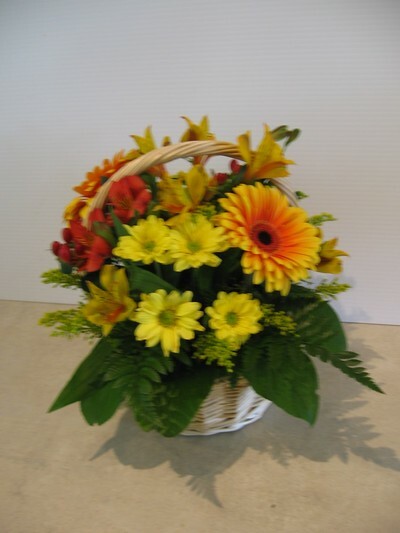 so that our customers are proud to refer us to their family and friends..
or use our online order and get a free flower delivery service. 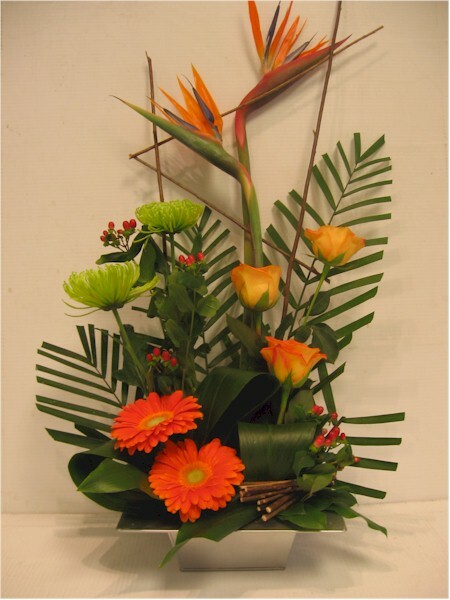 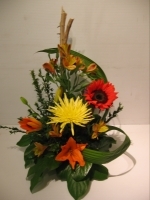 Orange alstros, Yellow fudji, Orange sunflower, Orange Lily, and greens. 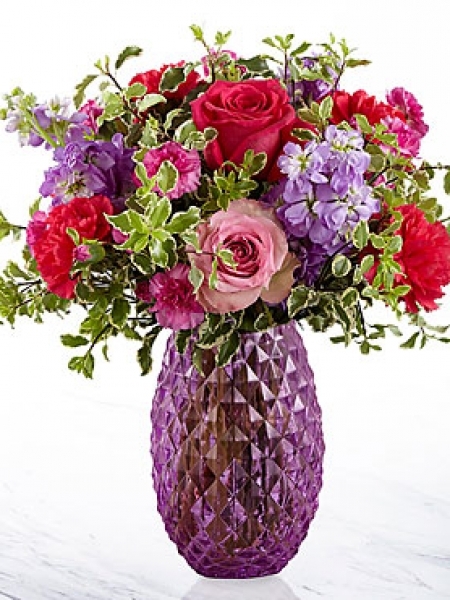 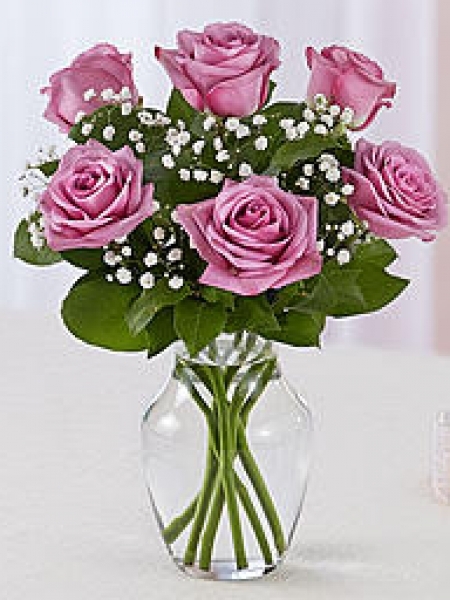 In a FTD Violet Glass pot Hot Pink Carnations, Hot Pink and Pink Roses, Violet mini carnations, Purple Stock and greens. 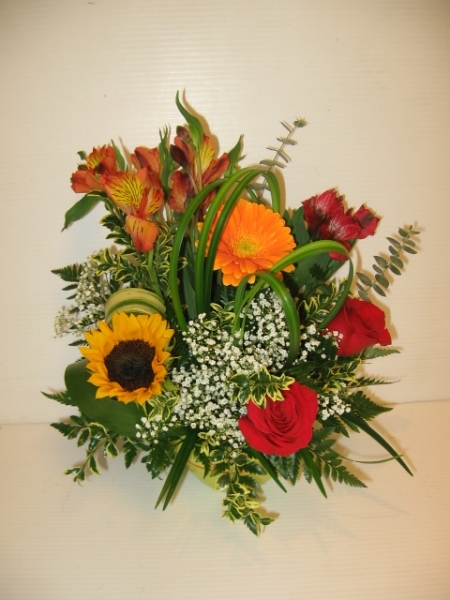 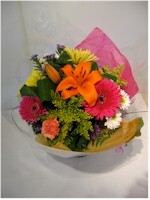 Red roses, Orange and red alstros, Yellow Sunflower, Orange gerbera - Bowl may vary. 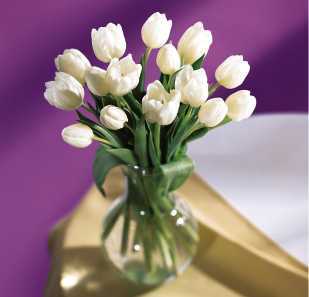 White tulips bouquet - Vase included - Color of Tulip may Vary. 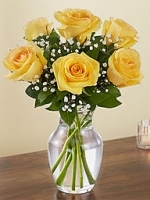 In an 8 inches Clear Vase, Yellow Roses, Gyps, and greens. 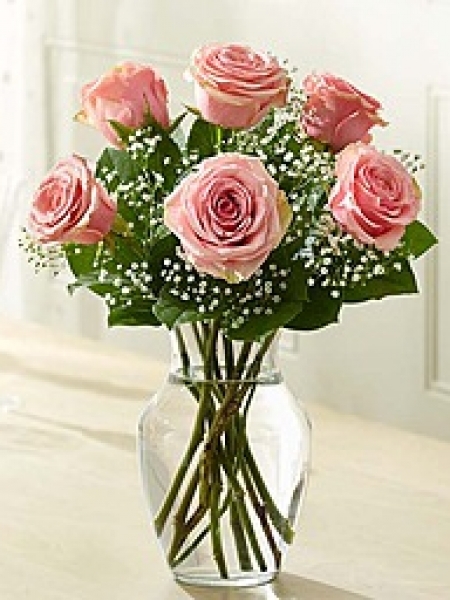 Vase model may vary. In an 8 inches Clear Vase, Pink Roses, Gyps, and greens. 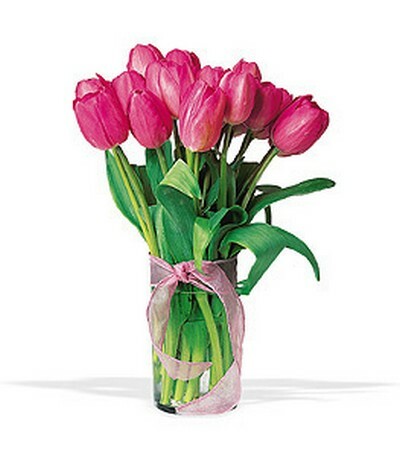 Vase model may vary. 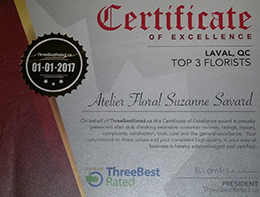 Atelier Floral Suzanne Savard is a Laval and Montreal local topflorist and floral designer. Atelier floral Suzanne Savard is also a wedding florist offering flowers designed for bridal bouquets, alters, hair flowers, corsage, flower girls, centerpeieces and floral arrangements for wedding chapels. Copyright © 2010 Fleuriste Atelier floral Suzanne Savard.